'The West must understand that the anti-Russian campaign has no future,' the Russian diplomat said. 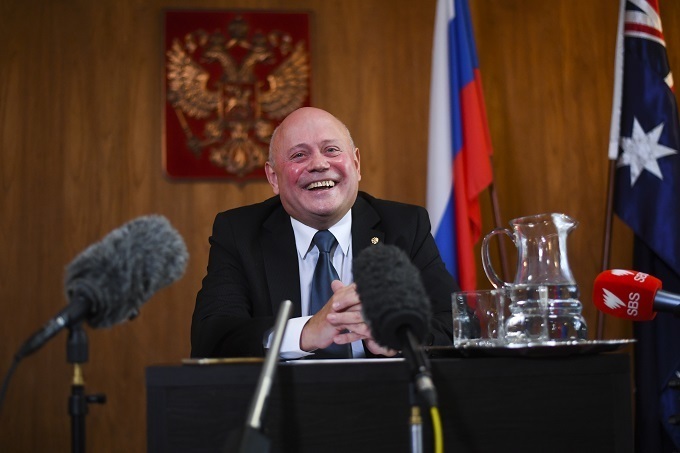 Russia’s Ambassador to Australia said on Wednesday the world will enter into a “Cold War situation” should the West continue its bias against Moscow in response to the nerve agent attack against a former Soviet spy in Britain. Russia denies any part in the March 4 nerve agent attack on former spy Sergei Skripal and his daughter in England. Logvinov rejected claims that Moscow was behind the attack and said Russia has yet to decide on its response to the diplomatic action by British allies.